The Thylacine Awareness Group of Australia has released two new clips recorded using a trail camera. Edit: Alsatian and fox, maybe a Disney film could come from this. HOW MANY BLOODY FOX VIDEOS ARE TOO MUCH FOR THESE PEOPLE! Those weren't very good videos. Hard to say what was on them. I saw a film of a Thylacine running across the road that was better than that one. I think they are still out there. Why has it been edited to only show the animal just leaving the frame?? Because of this im calling fraud. I am truly uninformed about this and can't even watch the video on this hotel internet but is there anyway this creature sill exists? Was dead as the Dodo on the mainland long before the arrival of Europeans. No credible evidence for it's existence after it was declared extinct on Tasmania. It's wishful thinking and outright fraud that these sightings persist. The fact that the video was edited tells me that it's not credible. Also, it seems to have a bushy tail. Thylacine didn't have that feature. That footage is a dog or fox. Not a Tasmanian Tiger... The tale is way to bushy. Bluntly, yes. It's vanishingly unlikely, and personally I'm absolutely convinced they're extinct in Tasmania and the mainland, but it is possible. That said there is no evidence that they do. Leaving out all the nonsense and the half glimpsed greyhounds, and sticking to documented or physical evidence and to the opinions of those who publish in the mainstream science journals. Around the 3-4kya mark, dating varies. But, Dr Robert Paddle in his 2000 book 'The Last Tasmanian Tiger: The History and Extinction of the Thylacine', (probably the most thorough, but biased in a socio-political sense, historical roundup of the subject to date) cites a reference for a South Australian bounty scheme put in place in the 19th C, and two specimens recorded as having been taken from the mainland being examined by two credible witnesses. He also discusses that in the relevant area ethnographic information does detail Aboriginal tradition of an animal corresponding to the tiger once being real animal, but having 'entered the dream time' (which he interprets as meaning becoming extinct) roughly in a time compatible with the mid 19 century. Personally, I'm utterly unconvinced by this, and think that an actual S.A tiger population in the 1800's is a long way down the list as the best explanation for the facts. 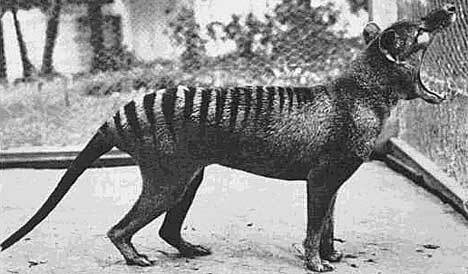 Other than that there is nothing to suggest the thylacine persisted on mainland Australia beyond the most recent carbon dates. In Tasmania, the last persuasive evidence comes from the Summers and Flemming expeditions of 1937-38, which found footprints in NW Tasmania. There is mention of DR Eric Guiler and/or David Fleay finding a trackway in the late 40's/50's, but I can't comment on that because I've never seen it. Other than that, again there's no evidence for tigers in Tasmania after the late thirties. And, there's a huge wadge of evidence to support the idea that this represented the very final moments of the species. Which is of course largely ignored by the believer side. Except, if I'm being honest I'd have to bring up the 1982 sighting by biologist Hans Naarding in the central highlands, which sparked the most extensive, and final, government search for the species. 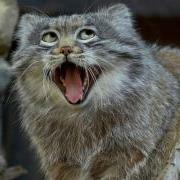 Again, personally I can't explain the Naarding sighting but equally I can't believe he saw a tiger. Aside from the above, Dr Guiler who died in 2008 did so believing there were still tigers in Tasmania, Cameron R Campbell of 'The Thylacine Museum' still believes they're out there, and Nick Mooney (the man who headed the field search after the Naarding sighting, and was the state's official investigator) investigated (albeit with a huge and healthy dose of scepticism) reports until very recently. Maybe he still does. There is a wild card in this though, New Guinea. Most recent remains are 5kya, and there's absolutely no evidence of any persistence after that except for eye witness testimony, and that you could almost write on the back of a postage stamp. But, there's just not enough definitive information to say one way or the other. So, at this point declaring them extinct (although they almost certainly are) in NG is just as unscientific as saying the opposite. People thought the coelacanth was exist for millions of years until one was caught off South Africa in the 1930s. It also lived in depths the ocean, where it could more efficiently hide from the eyes of man. Yes, as above. Plus even though it's not particularly remarkable looking and not highly prized by the locals because it tastes rank, it still managed to be picked up by science! Personally I can't imagine a better argument against species remaining undetected. I find it intriguing that people usually only report sightings of the larger and "more interesting" recently-extinct creatures like thylacines, but rarely report sightings of "lesser" recently-extinct creatures like ivory-billed woodpeckers, Caribbean monk seals, and Pyrenean ibexes. A species of a South American ant thought to have been extinct for 20 million years was rediscovered in 2006. But nobody reported sightings of those, did they? What I am saying is that the public is far more attracted to more remarkable-looking creatures. You don't go for the old nocturnal/crepuscular thylacine theory then? And not for the idea that thylacine habitat and human habitation and farming overlapped to the extent that up to 90% of the tiger's habitat has now been taken over for farming? Little is known about the behaviour or habitat of the thylacine. A few observations were made of the animal in captivity, but only limited, anecdotal evidence exists of the animal's behaviour in the wild. Most observations were made during the day whereas the thylacine was naturally nocturnal. Those observations, made in the twentieth century, may have been atypical as they were of a species already under the stresses that would soon lead to its extinction. Some behavioural characteristics have been extrapolated from the behaviour of its close relative, the Tasmanian devil.